Just over two months ahead of an Apple Music Event, where Apple is expected to announce a future iPhone, the rumor mill has been on fire with alleged leaks and speculation from analysts (mostly the latter). 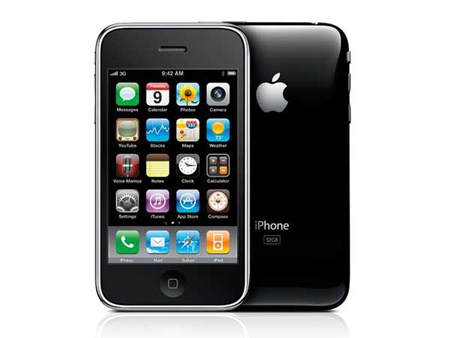 An analyst is now alleging that Apple might continue to sell the already 2-year-old iPhone 3GS for free with a contract. Last year, when the iPhone 4 was introduced, the iPhone 3GS remained available for $99, down from the $199 it was previously being sold for. Back in January this year, the price was revised downwards yet again to a mere $49, an incredible bargain for the experience it offers. In order to figure out how much a "free" iPhone would sell, first we need to make it clear that the word "free" isn’t accounting for the long-term contract that AT&T customers will have to sign up for before getting their hands on their phones. Yet, as explained by this analyst, the "$0" price tag could be enough to appeal to deal hunters who might not be aware of the contractual costs at first, and the steep cancellation fees they’ll have to pay if they wish to end their contracts. Unlike previous reports, iPhone 3GS support in iOS 5 remained largely intact, aside from a few advanced features such live photo editing in the camera app. Many expected support for the iPhone 3GS to be dropped entirely in this upgrade, as Apple prepares to unveil its next-generation iPhone. Could the iPhone 3GS be here to stay? Analysts aren’t necessarily the most credible sources when it comes to predictions, unless they have inside informers, which very often they don’t. The iPhone 3GS will have to be phased out at some point, given its age, and supporting newer versions of iOS on a device this old won’t be worth the effort sooner or later.